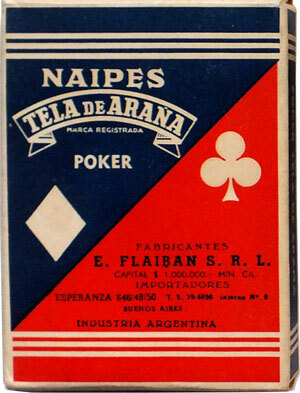 Naipes “Tela de Araña” is a brand inherited from Flaiban's earlier Flaiban y Camilloni days which endured right through to the company's demise in c.1970. 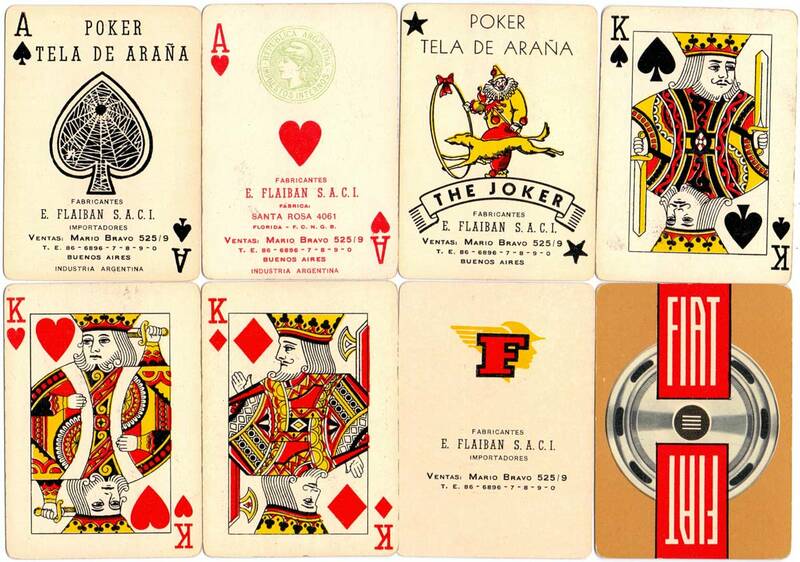 However, the company name and the addresses given for the factory and sales offices change frequently over the years, as do some design details on the aces, Jokers, boxes and court cards which reflect the company's evolution and development over time. 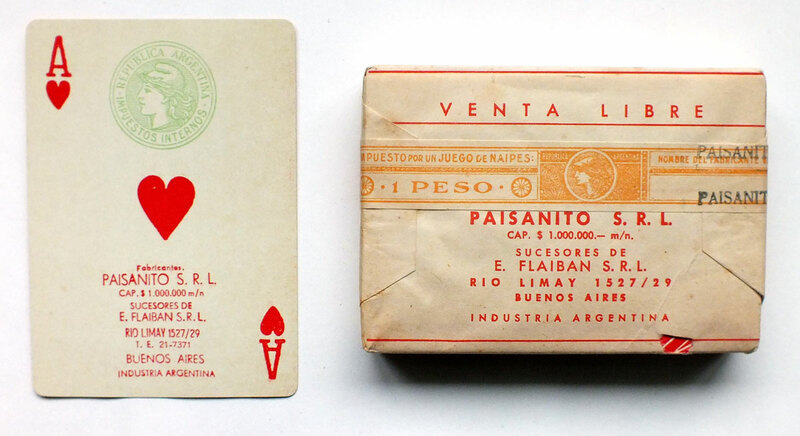 These details, in conjunction with the different tax stamps and tax bands, permit approximate estimates of the dates. 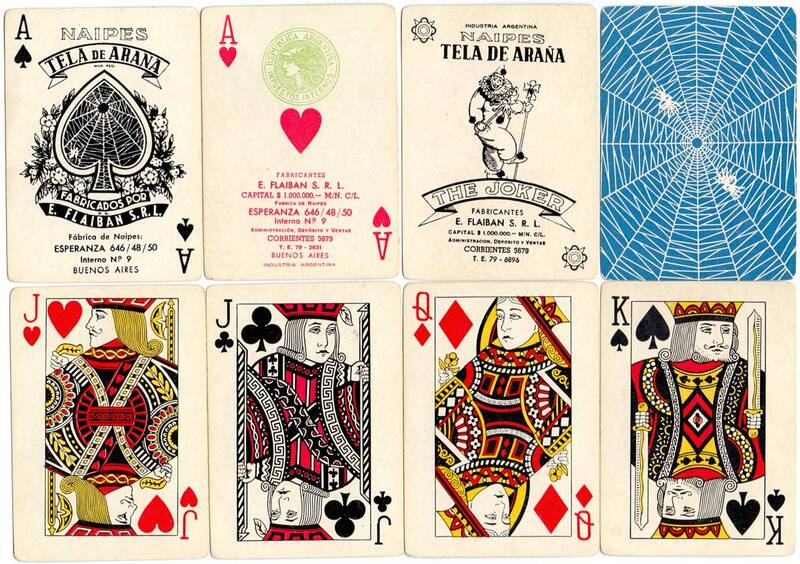 The back design usually shows a spider's web in red, green or light blue + white although advertising editions are also known from c.1960 onwards. 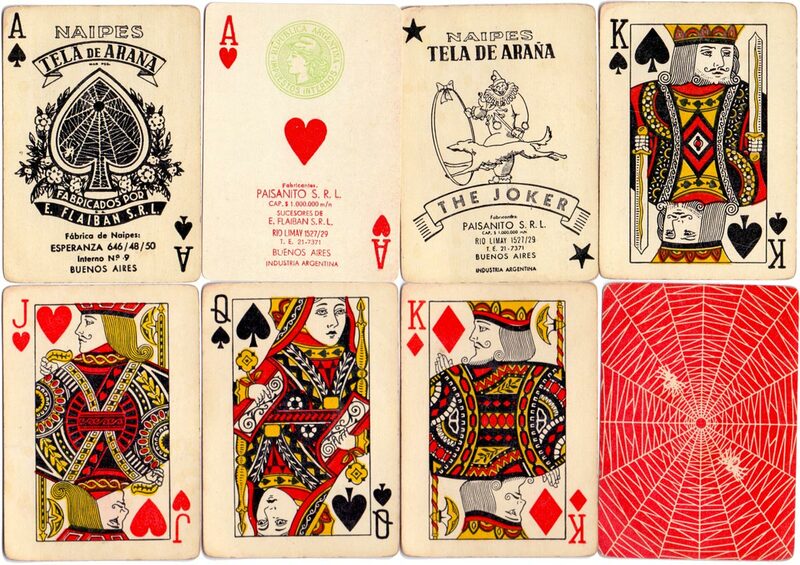 Above: Poker Tela de Araña manufactured by Flaiban S.A.C.I. in c.1968 for Fiat automobiles. 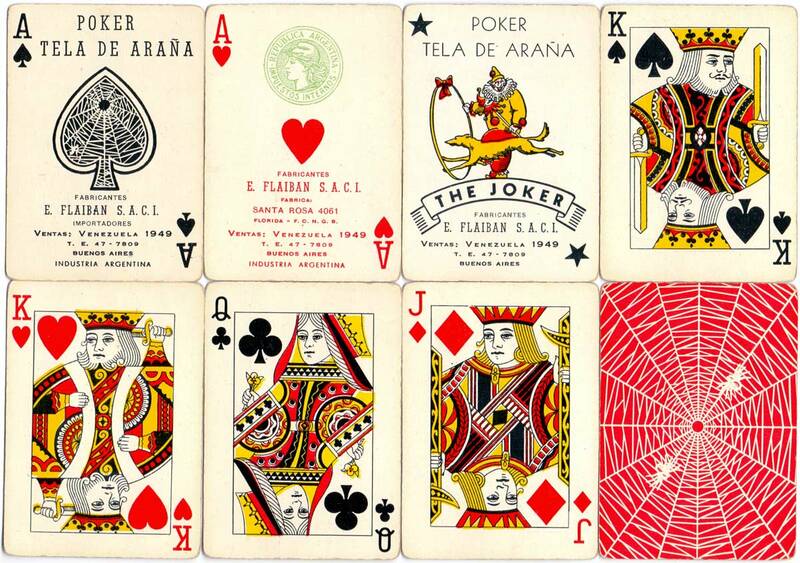 The address on the Ace of Spades and Joker has changed once again and is now at Mario Bravo 525/9 with new telephone lines. 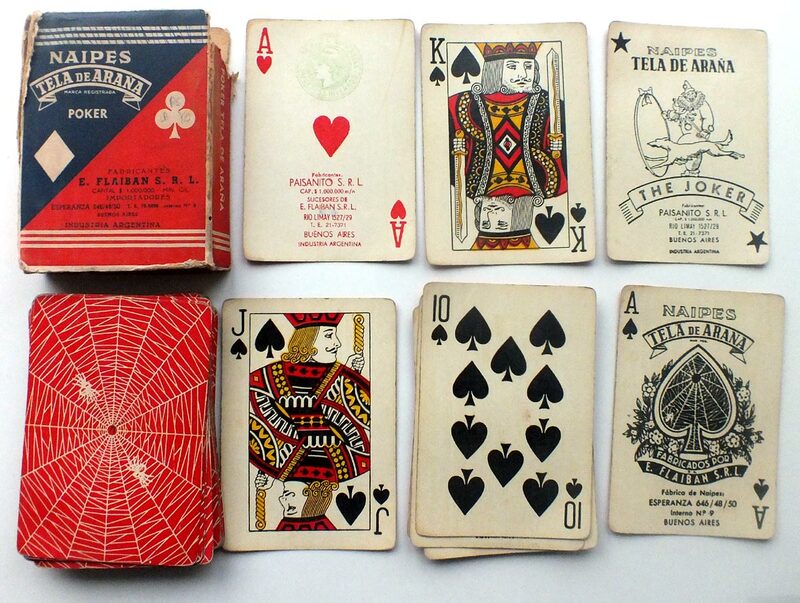 Marianne tax stamp on Ace of Hearts. Other advertising editions include Ford, Chrysler and Phillips.